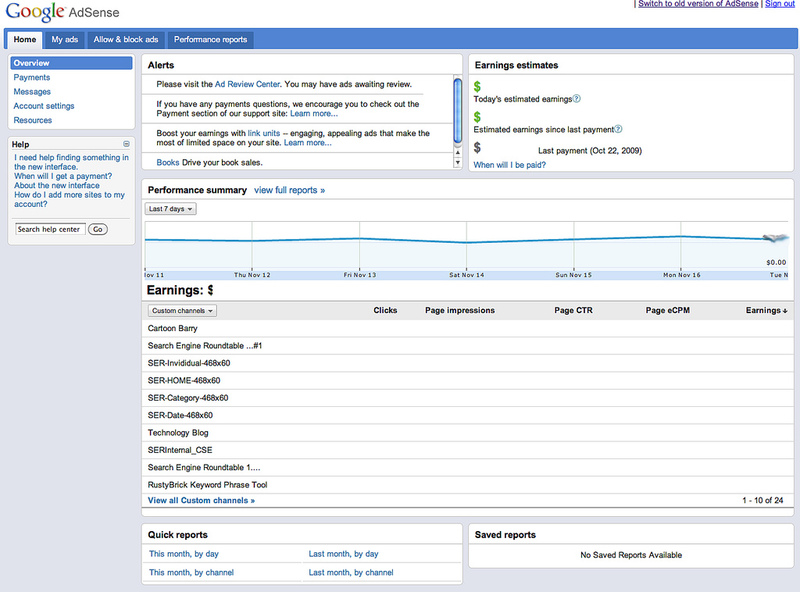 One of the most requested features for the new Google AdSense interface was to add more earnings data to the home page of the console, the overview page. Google has finally done so this week, by adding the following data to the home page. 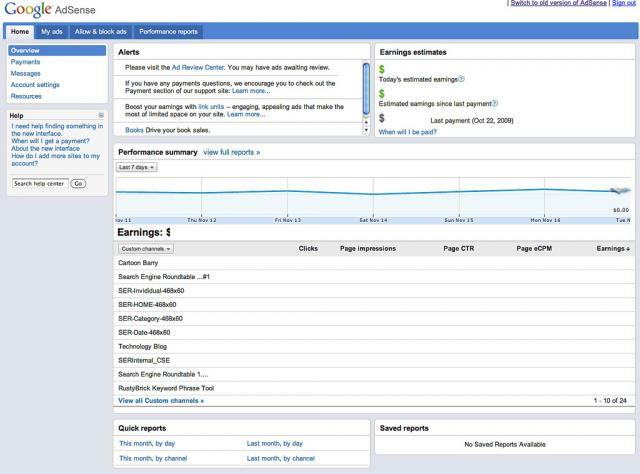 Here is a picture from when the new AdSense interface first launched. Remember when I asked for your feedback on the new AdSense interface? One of the main pieces of feedback was to have relevant charts showing on the home page. We listened and now will be showing you earnings for today, yesterday, and a few other measurements. See today's blog post for more info, and thanks so much for your feedback.